Find out what’s going on in Coshocton County in 2019! Find out more about Coshocton County’s rich history and notable individuals! Explore our many recreational, cultural & culinary attractions! Learn more about your elected officials and government agencies! Learn about local school districts and other places of education! Find resources dedicated to the health of you and your family! Research what’s available at the Coshocton County libraries! Discover local physicians, and other medical resources! Stay up to date with local news & media outlets! In case of emergency, these numbers are vital! Organizations and other resources dedicated to our Senior Citizens! Discover the numerous organizations dedicated to serving our community. Looking to travel to, or relocate to Coshocton County? Check here! 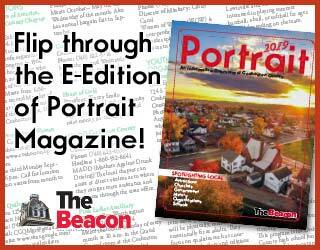 Portrait Magazine is proudly published by your team at Good Fortune Advertising LLC, the company that publishes The Coshocton County Beacon. Portrait of Coshocton strives to provide you with an informative overview of Coshocton County, Ohio. It is designed to give you a glimpse into the many community service agencies, churches, government services and elected officials, plus the social service and educational opportunities that are available in our community when you need help or guidance. 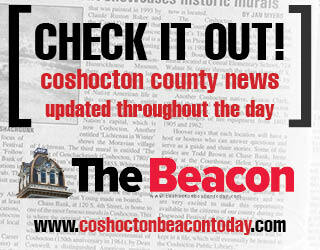 Coshocton was selected by “Ohio Magazine” as a Top 10 Hometown. Coshocton embodies qualities that make Ohio hometowns so special: Friendly residents, beautiful parks, charming shops and a rich history that is celebrated to this day.